One morning, in the eighth tower of Lanson Suites, Lina discovers that a treasured ivory bracelet has gone missing. This incident sets off a wave of unease that ripples throughout the Zhen household. Wei, a marketing strategist, bows under the guilt of not having engaged in nobler work. Meanwhile, Lina, lonely in her new life of leisure, assumes the modern moniker taitai—a housewife who does no housework at all. She is haunted by the circumstances surrounding her arranged marriage to Wei and her lingering feelings for his brother, Qiang. Sunny, the family’s housekeeper, is a keen but silent observer of these tensions. An unmarried woman trying to carve a place for herself in society, she understands the power of well-kept secrets. When Qiang reappears in Shanghai after decades on the run with a local gang, the family must finally come to terms with the past and its indelible mark on their futures. "Skillful... An immigrant story but one that also delves into the subject of going back to one's homeland. Tan humanizes each and every one of her characters." "A big, beautiful novel... Dazzling." "Lucy Tan explores the identities, memories, and emotional universes of her interlocking characters with effortless control and beauty. It is a quietly brilliant book, and a truly singular debut." 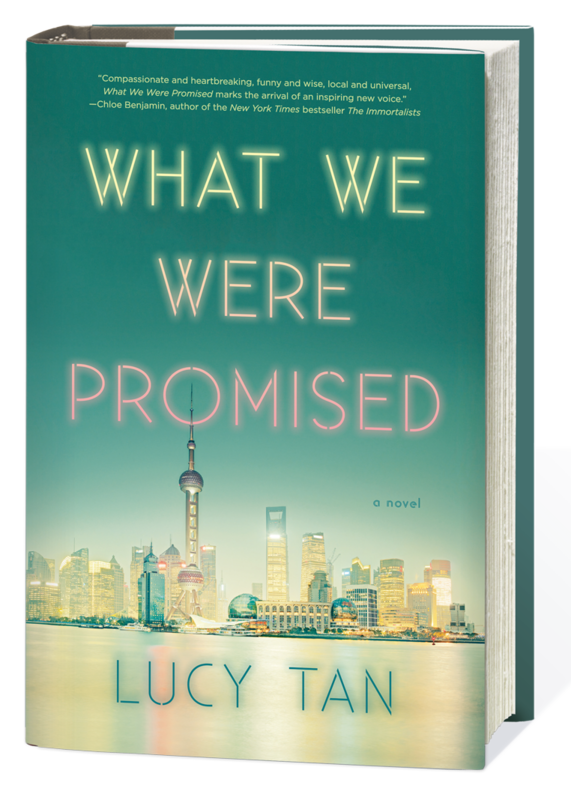 "From its first page the novel promises a mix of emotion and intellect, plot and cultural critique, and it delivers... By the end of What We Were Promised you will agree that the real promise belongs to its debut author. Put Lucy Tan on your literary radar now."